Hello internet, my irregular publishing of entries marches on . . . irregularly. On Saturday, I ran a short scenario of my own devising for a "pick up" game of Fifth Edition Dungeons & Dragons. The game worked out well enough that I likely may run this scenario for other groups as an intro. I and the group had fun, and I definitely learned some lessons that I could apply to (hopefully) make it run to be even more fun and exciting. If you don't want spoilers, you should stop reading. For anyone else, here is an overview of how things went. The adventure is not in a determined setting. 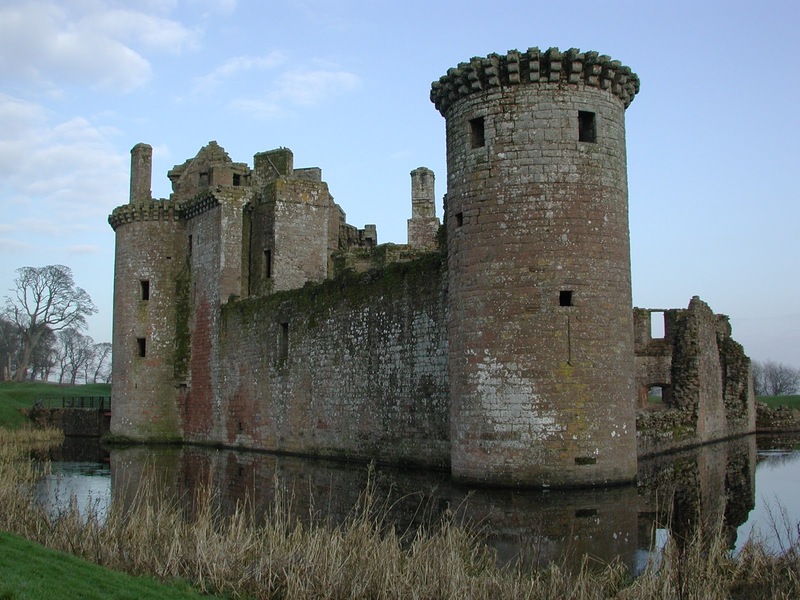 The main adventure location was inspired by a real world castle, Caerlaverock in Scotland. The players, who were a group I was able to get together with a few days notice, picked pre-generated characters from a set I had put together. The characters were all third level, to allow for everyone to have some significantly cool things to do, and to avoid having to write a scenario about giant rats and other lower level threats, when I wanted to put a bit more risk and reward into the scenario. We ended up with a pretty well balanced party, including two Wood Elves, a Cleric of Light and a Druid (Circle of the Moon) (Val & Telar, played by Tom and Robert), a Rock Gnome Eldritch Knight (Teflanto, played by Dan), a Forest Gnome Arcane Trickster ("Nick" played by Jamie), and a human Berserker (Arek, played by Darrell). We did a short little Q&A between me and the players to determine how they knew one another, and then we got them on the rails to the adventure. They received a summons from a Herald of the Duke to come and meet with an official of the Duchy for an opportunity. Like any group, the characters were suspicious, wondering if this was legit, or a trap of some kind. The eventually went to the meeting, and the Duke himself met with them, and charged them with a mission. Role playing the discussion was pretty fun, and people made some social skill rolls, and it all went well enough. This was the deal. They needed to go to a remote castle, Kerag Ynys, near the northern border of the Duchy, where a castle had become haunted and disused. The Duke had not been much concerned with the castle in recent years because the border had been closed, and the function of the castle (as a customs station for trade and garrison for protecting the trade route) had been superfluous. Further, hostilities on other borders of the Duchy had kept the Duke from sending units to determine what had happened to the Baron of this castle. However, in the last six months, peace and general amity had been negotiated, and the trade route was opening back up. Now the Duke needs the castle. Choosing a Baron is down on his long list of things to do, but in the meantime, he had decided that he can put the player characters to good use, get them out of his back yard, and test their mettle to see if they are worth further recruitment and investment as agents. He offers them positions as temporary Wardens of the castle if they will retake it from whatever monsters inhabit it, and if they will agree to help secure the Barony and assist a ducal steward to run the castle and return the village to habitation. The characters reluctantly agree, especially after he explains that the typical adventuring group in his duchy, once they have achieved the kind of fame and notoriety that they have, either end up as his "friends" and in his service, or end up with their heads on spikes on his gate. Further, the Duke had a story for them, accompanied by two clues. His patrols had recently captured a bandit who had first hand knowledge of the castle in question. He and companions had observed the castle and saw that its drawbridge came down each night, only to be closed up during the day. They decided to try to take the castle as their base of operation and entered. After beginning their search of the castle and finding some trinkets and remains from the former inhabitants they were attacked by "dead men." Only the one bandit escaped with his life, and part of his reason. He also had on him a fragment of a letter from the former steward of the castle to the last Baron (Marketh) of Kerag Ynys. The steward urged his lord to return a "mask" to a place called Tor Mortas, warning it would bring great evil. An annotation on the letter seemed to be from Baron Marketh, recording that he would never give up this treasure from Tor Mortas. 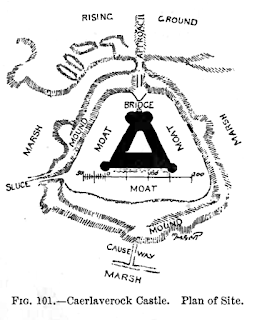 The Duke gave them the letter fragment, and also provided them with the possible location of a mechanism to open a postern gate and a passage across the moat of Kerag Ynys, so they would not have to enter across the drawbridge at night. 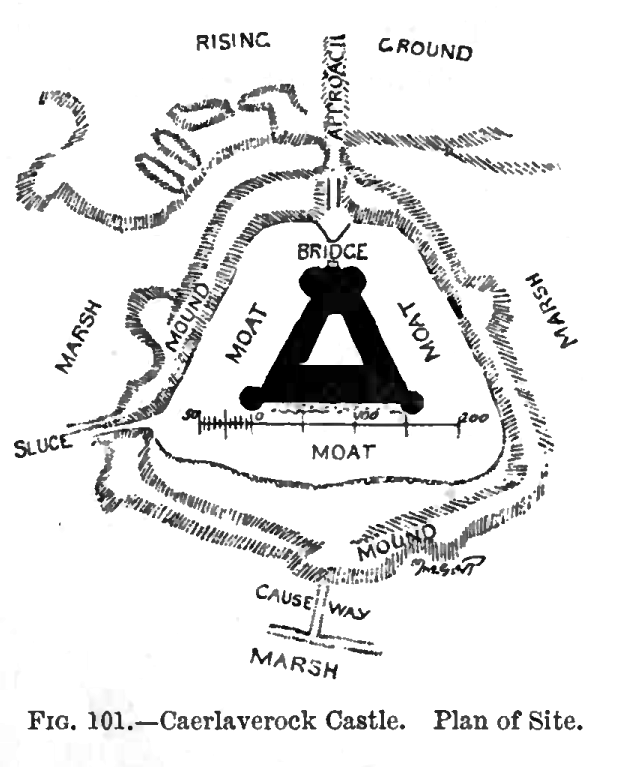 The adventurers journeyed to the north for days, until they reached the outskirts of the area containing the keep. Since they knew that something was definitely active at night in the keep, they decided to time their arrival to the morning to give them all day to work on entering and dealing with whatever might be in the keep. After thoroughly scouting the area, they were able to locate the mechanism to trip the Dwarven made device that raised stepping stones across the back of the moat to the postern door. They made their way into the keep by this hidden path. Once inside, they began to investigate. They found the keep largely in tact, though seemingly deserted. However, in the barn area, they found a pile of dead bodies, in various degrees of decay, and some seemed to have been "gnawed." 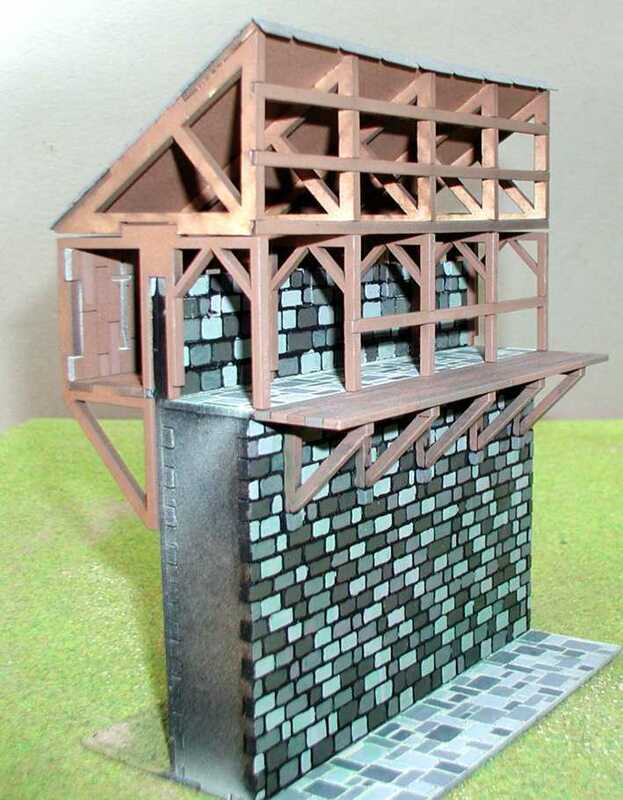 They we close to several ladders which could lead them to upper level on the wall, and particularly to the hoardings atop the walls. 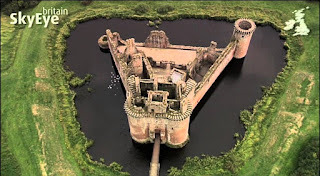 They also inspected the ground level room formed by the base of one of the castle towers, in which they found a small armory, and a trap door that led to something below. 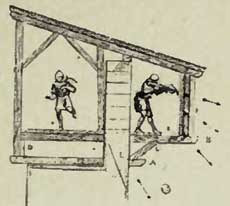 However, before they could explore more, they began to take arrow fire from the top of the gatehouse. A quartet of skeletons had detected them and had gone to the attack. The characters scattered. Most headed up ladders almost immediately, seeking to get cover, higher ground, and eventually reach the skeletons via the hoardings. The Cleric, Barbarian and Arcane Trickster all headed up. They were soon surpassed by the Druid, who turned into a panther and made short work of climbing, even having to use a ladder. This left the Eldritch Knight still in the line of fire, and he caught an arrow, but was able to look for cover. However, then a swarm of zombies shambled out of a nearby cellar. Discretion being the better part of valor, the Eldritch Knight retreated up a ladder, and was assisted by the Arcane Trickster in jamming the trap door first on the ladder he came up, and then on another at a ladder around the corner. Meanwhile, the Cleric, Barbarian and Druid all made it up to the level of the skeletons and charged in. Once in range, the Cleric raised her holy symbol and invoked the powers of light, forcing one skeleton to cease his attack and flee to the far side of the gatehouse roof. The other three, however, continued to draw arrow, until brought to close combat by the Barbarian who went into a rage, whereupon they drew their blades. 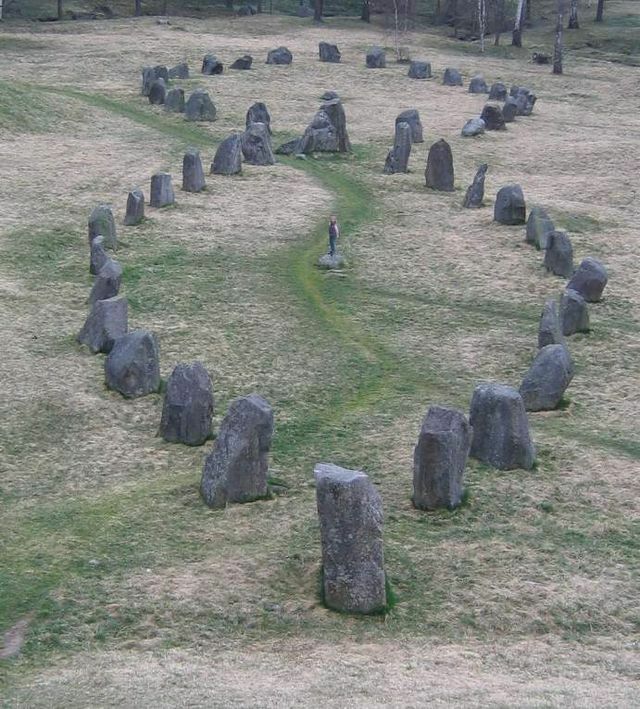 After trading indeterminate blows, the Druid shaped back into his human form and cast Moonbeam. He was disappointed that the skeletons largely made their saving throws, but on the subsequent round, they all failed, and he melted them all like candle wax. The Barbarian then charged back to get into some kind of view of the zombies, and with a furious throw, actually hit a zombie over sixty feet and two stories away with a thrown hand axe, neatly ending it. The Cleric followed cautiously behind, looking for some way to attack from above. The zombies were stymied by the ladders and blocked trap doors from making any attacks on the party. Then the Druid turned his moonbeam upon them, and within two rounds, all but three were puddles on the ground. The last three, barely holding together, retreated into the cellar. The party, triumphant in this first battle then carefully searched the keep. 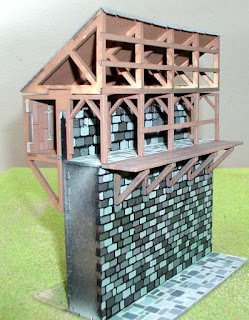 They found the trap door in the small tower armory merely led to a prisoner hole. 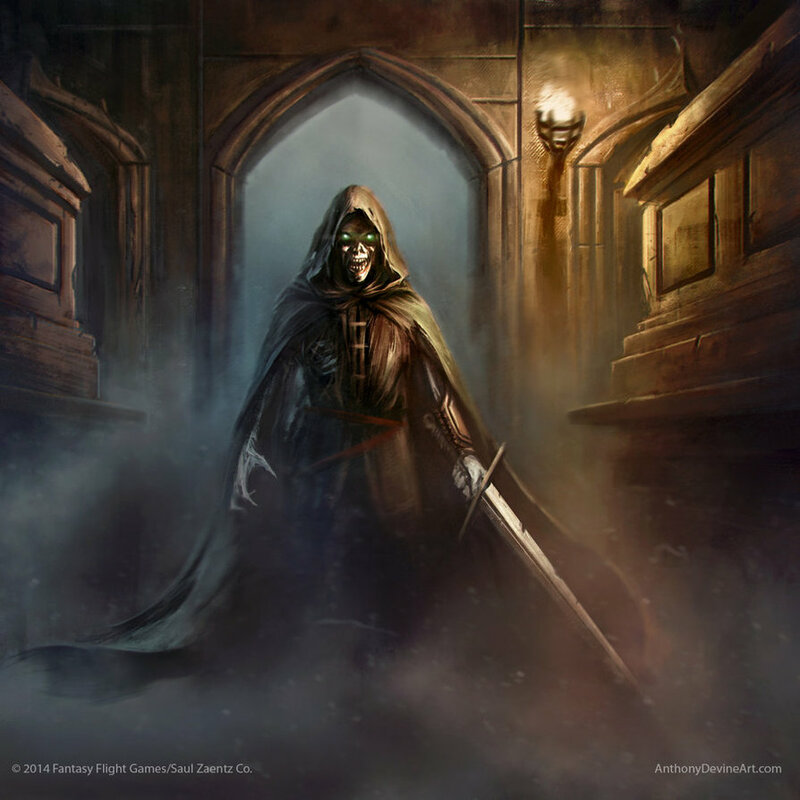 However, searcher the living quarters, they found the day books and ledgers of the Baron, and found his notes on how he journeyed to a place called Tor Mortas and retrieved a gold mask, with which he became obsessed. On the trip there and back, two men at arms died, his personal priest went mad and fled, and he apparently murdered his body servant as too clever. After he brought the mask to the keep, the town began to be beset by "things" who took the villagers. 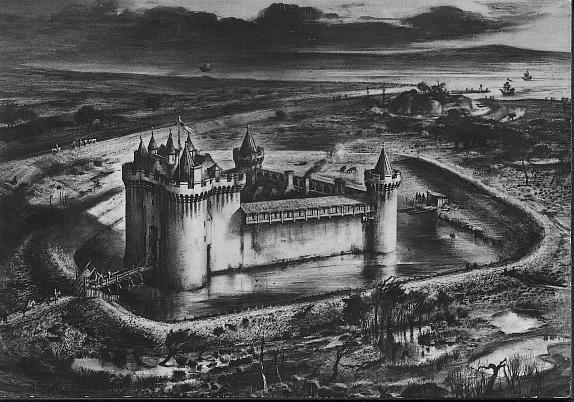 Eventually, the remaining peasants fled the town, and the keep became threatened. The Baron's wife urged him to return the mask, and then she had an "accident." The information in these entries pointed to the mask being in the family crypt, built, like all the foundations of Kerag Ynys, by a allied clan of Dwarves centuries ago. The characters found the way down by taking one of the main spiral staircases that served the keep. They went far down underground, and then came out in a crypt. It was evident that there was some "thing" in the crypt, but it, and its cohorts (more undead) did not immediately move to attack. The characters identified the creature that seemed to be in control as a "barrow wight." They attempted to treat with it, explaining that they sought the mask to return it to its place of origin, Tor Mortas. They had a hard time of it, but made several speeches, gave oaths, and called it to recognize their honor. Finally, the wight stepped aside from the door where it stood and told the party to work their "arts" on the door. If they took the mask with the intent to return it to Tor Mortas, the wight, and its slaves, a ghoul and a specter, could be free. Up stepped the Arcane Trickster. He handily unlocked the door, but then thought to look for traps. The door, like all the entrances to the tombs in the crypt, was trapped with a mechanism which would allow the moat to rapidly pour into the crypt, likely crushing and drowning those who would defile the dead's rest. He then tried to assess how likely it would be to set off the trap by disarming it. He determined it would be unlikely. However, that unlikely event occurred [his player having rolled a 1]. Two things happened at once. The door opened, revealing the entombed bodies of the Baron and Baroness, the golden mask perched atop the sepulcher, and water began to pour in all around the crypt. The Arcane Trickster, using his Mage Hand, seized the mask, and then cast expeditious retreat and fled the crypt. The other party members tried to contribute to each other's survival [defined as a skill challenge]. Things did not go well. The Barbarian sought to block some of the water coming in from the Baron's burial chamber, but instead ripped the door from its hinges [another roll of 1]. Others had some success in helping one another towards the exit stairs, but just as many tripped each other up or impeded one another. Finally, the Arcane Trickster, as the chamber filled with water, shot an arrow tied to a rope towards his companions, hoping to pull them to safety, but as they grasped the rope, it pulled them down under and each seemingly lost their last breath. For a moment, Nick, the trickster, thought about just leaving. However, he managed to get the rope free, and found that, like a reflex, some of his friends had, in losing consciousness, held onto or been entangled in the rope. He pulled first the Cleric, Val from the water and got a healing potion into her. Next, they pulled out Teflanto, the Eldritch Knight, and while one revived him, the other pulled out Telar, the Druid. Finally [after succeeding three death saves in a row], the Barbarian Arek simply refused to die and dragged himself up out of the now receding waters onto the stairs. After some rest and healing, the party camped within the keep that evening and managed to prepare themselves for the trip to Tor Mortas. There they found the ancient and primitive mausoleum from which the Baron had taken the mask. They returned the mask, and it was sucked back down into the earth, presumably back to its owner. This did not give the adventurers a good feeling, but they did feel lighter as they exited and then set off to claim their reward as the new wardens of Kerag Ynys. In retrospect, I think what I did at the start of the adventure was a mistake, and I would do it differently the next time I run this. What I realized after running the long introduction that included getting the mission from the Duke was that it had not been that important. The players have to agree to go to the castle or their is no adventure. As a "one shot" I should have started them just already on their way. That way, all the time spent with the Herald and the Duke could instead be spent with some role playing between the characters and then giving more time to explore the castle and fight monsters. Having eaten up a lot of action time with not very consequential timing, I forced the players to have to resolve the adventure with talking, since we had about 40 minutes to finish up once they got into the crypt, and a combat would take an hour or two. I did not want to quite railroad so much at the end, but it was a one night one shot, so it had to do two things. It had to end with some satisfaction, and it had to be fun as a whole. This also played into how I resolved the long series of bad rolls that could have resulted in all but one of the characters dying. However, I thought it was more interesting to play through a series of death defying challenges. The skill challenge ended poorly and the trap took all but one character down. However, with one surviving character, it allowed for a heroic rescue and a salvaging of the mission. That just seemed like more fun for my audience. So, that's what I did. When I run this again, I think we will start just a short way from the Keep, with the back story already assuming they are on the mission. That is the scenario after all. If I were to use this for an ongoing game, that would be different. I would let the players move at their own pace and decide to take the mission or not. There would be other things to do if they turned down Kerag Ynys. But, for one night D&D, the agreement is generally, the DM has a particular thing to do in mind, and the players agree to give it a try. On the whole, I had a lot of fun. I was surprised by some of the things the players did (as always) and I was pleased that I was able to share an evening doing one of my favorite things for a goup of folks who (mostly) had not played for many years. With luck, we will do it again, perhaps more than once.